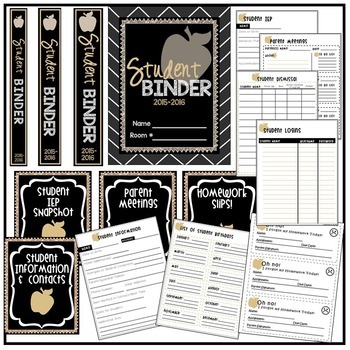 **NOW UPDATED FOR MARCH 2019 - AUGUST 2020Editable Teacher & Student Binders - Glitter & Gold - Combo Pack! - Updates Every Year! Teachers - Enjoy your summer!!! Download now and be organized later for the fall! Don't stress about the upcoming school year, you'll have everything ready to go! THIS PRODUCT HAS BEEN UPDATED FOR 2017-2018 - This is a lifelong tool!Have all your student info at your fingertips! 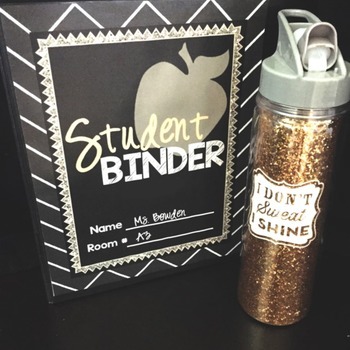 With the Glitter & Gold Student Binder, you'll have all your students background information organized, birthdays, contacts, parent meetings, IEPs, behavior evaluation slips, homework slips, dismissal information, student logins, printouts for the students, homework folders, out sick folders, reading logs, and more! This download contains an editable Powerpoint file and a PDF! Be BINDER READY for the fall! SAVE MONEY with the Triple Binder BUNDLE! 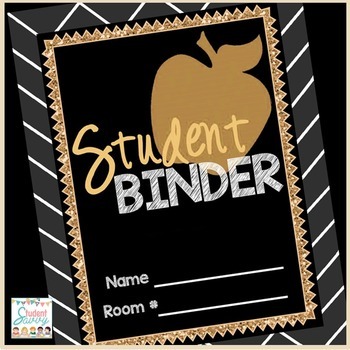 Download all three - Teacher Binder - Substitute Binder - Student Binder ! 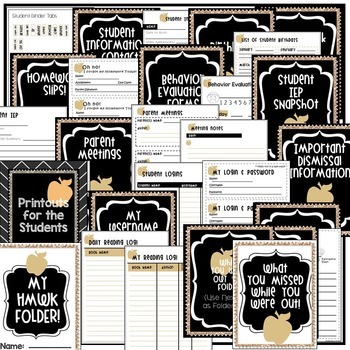 SAVE MONEY with the Perfect Combo - Teacher & Student Binders!